It was in the early 70’s that Memorex launched a great series of TV ads extolling the great quality of their Cassette tapes. “is it live or is it Memorex” was the question posed. 40 years later it is a phrase I still use, I have corrupted it slightly “is it real or is it Memorex”? One thing that I have learned after decades of reading and talking to authors is that you should never judge a book by its genre. Fact can turn into fiction, and fiction can and often does have its roots in fact. There are numerous reasons why an author might opt for the fiction label, some subjects are a little sensitive, and garner the wrong kind of interest from the wrong kind of people. So lets talk about Operation Ivy Bells. Broadly speaking the plot is simple, it is towards the end of the Cold War, might the US be daring enough to send an older nuclear powered sub into the heart of waters controlled by the USSR to plant an NSA inspired listening device on an underwater communications cable? Might the same sub also snoop around a little bit to see if they can find any remnants from recent missile launches? Well I have to say yes. Might a sub lurking inside USSR controlled waters possibly attract the attention of the Russians, certainly! 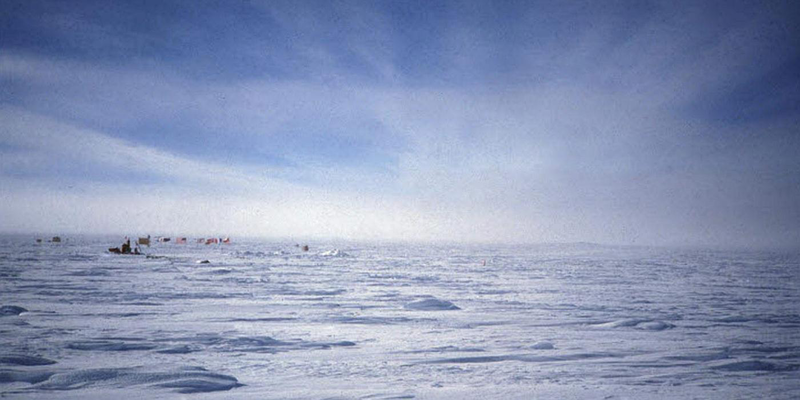 If the operation was successful and the sub had the ability to deploy divers at 400 feet I think it is called saturation divers, would anyone be crazy enough to task the sub with another trip to the same place? The Russians are pissed off, to do it a second time sounds like a recipe for disaster. But, we are talking fiction here, right? Just because Robert G. Williscroft was a submariner and has a PhD in engineering, and his dissertation is about diving equipment, it is all just pure speculation? Well maybe not. War is war, and intelligence is paramount. You need to understand what your enemy is up to. Getting inside his head requires getting a listen to what he is saying. 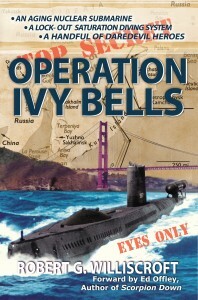 I have to admit that I enjoyed Clancy’s Hunt For Red October, but I like Operation Ivy Bells even more. Clancy tried to be smart but used too many words. Robert Williscroft is frugal with his words, there are no sideshows to distract the reader. It is old and boring to say “It’s a page turner, I could not put it down”. Well the truth is, I go to bed at 9pm, but was so engrossed I read till midnight, and the next morning I had my nose buried in it at 7:15am. I do not know much about Submarines, but I lived in San Diego for 10 years and liked to sail. Going by the sub pens was always fun, they looked so small and harmless. One day I was just off shore and the biggest dang sub passed me. I thought a 30 foot boat was big, this thing was huge. About a mile ahead of me it dived. What amazed me was the wake it left. You have all seen Con Trails from airplanes in the sky, well this was a con trail in the ocean. Is it possible that this book is true? Yes I think there are too many elements that make sense for it not to have its roots in reality. Names and exact places have been masked to protect the guilty and probably there is a little embellishment of the real story, but yes, I vote this is more fact than fiction. It is in the genre I call ‘faction’. Buy it and enjoy it, think about it, then form an opinion. Is reality, the external world, independent of man’s consciousness, independent of any observer’s knowledge, beliefs, feelings, desires, or fears?